Lady Master Nada Keynote, coming soon. We are all one in the sun! Lady Master Nada is the Beautiful and Loving Chohan on the Ray of God Peace and Service. 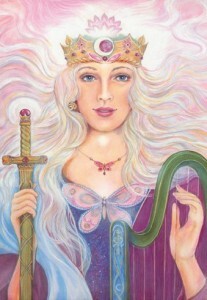 She works with us to bring more Unconditional Love of the Divine Mother into our World and thereby more Peace. She is a very loving and very powerful Being. You can connect with her through your Heart. Her decree released through Ascension NOW! is very beautiful and you can feel the Love pouring forth as you give it, because it really connects with Divine Love and Lady Master Nada’s flame. Love your self, love your inner child, and thereby love the world to wholeness, healing and compassion for Life. Lady Master Nada loves you! So please connect with her flame and you will find that she is much more than we may think. 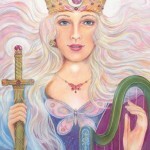 She is a Great Cosmic Being of Mother Love Light. Follow your Heart, follow the Way and Lady Master Nada steps with you with rose pink rays of unconditional Love and Golden Purple Rays of Peace and Aloha. coming soon… follow your inner heart and maybe you’ll outflow one!